Inspired by flavors of the street food of Jakarta, “Satay Junction” is the only authentic Indonesian restaurant in the city, as other ones don’t feature street food. Therefore, if you’re in the mood to have something completely different for lunch or dinner, here is a great place for you to do so. The food has a distinctive unusual taste for an average New Yorker, but it’s fresh and palatizing, so it’s definitely worth trying. If you are unfamiliar with Indonesian food, you may think of it as of Thai food, but made with different spices. Indonesians use a lot of lemon grass, candle nut, peanuts and coconut milk. The food comes out spicy (if desired) and sweet at the same time. Sweetness is especially pungent in desserts and drinks. By the way, the drinks can be your desserts as well, as they taste like candy. For instance, Es Teller, which reminds you of a milkshake (but not blended) with soft coconut taste created by coconut milk and pieces of young coconut floating inside along with seaweed jelly and sweet jack fruit you can chew on. This drink is great as a last chord of your lunch or dinner or its sweet beginning you can indulge yourself in while you are waiting for your meal. Speaking of meals, when one thinks of Indonesian food, first thing on his/her mind is probably, a Satay, small appetizing pieces of meat marinated and cooked on a stick with various seasonings. No wonder that this item is the most popular in “Satay Junction,” as the restaurant was originally created as a place where customers can savor famous Indonesian Satays. Since there are a lot of Muslims among Indonesians, it is not guaranteed that you will find a pork Satay on the streets of the capital, although Jakarta is pretty diverse, and everything is possible. However, vegetable and tofu Satays are the invention of chef Raj Dodani especially for his vegetarians and vegan New York City customers. You can also find shrimp and lamb Satays in “Satay Junction,” so whatever meat (or non-meat) you prefer, you will find it here cooked to perfection and served with delicious homemade peanut sauce that you will keep wiping and licking from you plate untill the last drop of it disappears in your mouth. Two great side dishes for Satays are Nasi Goreng (fried rice) or Mee Goreng (pan seared fried noodles). These sides may be served as an addition to your meal, with vegetables or tofu pieces, or as a separate dish, with any choice of meat you desire. Besides Satays, there are other flavorful dishes on the menu. Try Gado Gado, steamed vegetables served as a cold salad with medium-spicy peanut sauce. The first thing that gets at your taste buds once you try Gado Gado is the freshness of the peanut sauce. It is amazing and a bit spicy. The vegetables are cold and juicy, and the flavors of the dish are not too strong. A great snack when it’s hot outside, Gado Gado is one of those dishes that you can buy from a Jakarta woman who walks the streets of the city with a basket of vegetables and makes her fresh peanut sauce right in front of you. The refreshing taste of the dish is a light start for the meal, and it’s great if you are a vegetarian or even vegan. You may ask to have tofu in it if you want to get protein in addition to a full serving of veggies. 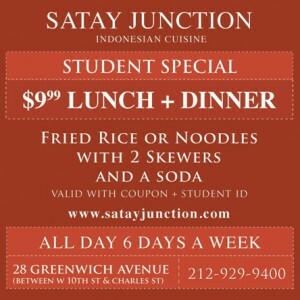 And yes, if you are a student, here is a lunch and dinner special for you: $9.99 for a side of fried rice or noodles with any 2 skewers and a soda – great student discount for tasty authentic meal, something that is worth trying, at least, once. However, if these Indonesian street delicacies don’t sound too enticing to you, and you crave a burger instead, “Satay Junction” has it for you here as well. Ask for the specialty burger with a homemade patty marinated with Indonesian spices on a bun with peanut sauce. There is a side of Gado Gado that comes with it, all for $10 only. It’s a great lunch special for students who are watching their students savings when it comes to food. It’s a filling, yummy and inexpensive meal you can take a break for in between your classes. In addition to regular menu, there are specials changing from day to day and curries from various regions of Indonesia. There are also catering services and prix fixe menus. For instance, Pijsttaffel from chef Dodani (which is translated as “rice table”) is a set meal for only $35. You choose the main entry and get an omelette, corn fritters, seasonal greens and yellow rice with it. This “rice table” serves two people, and it’s a great deal for the large amount of food offered. You can also ask for a prix fixe menu for your private party. You pay one set price, and the food keeps coming out from the kitchen until you beg them to stop. The closed events usually take place later in the evening, after 9.30, or can be arranged earlier if it’s a weekday. Catering for office lunches and student parties are cool as well. As the restaurant is quite small, you will not host a large party in it, no more than 15-20 people. 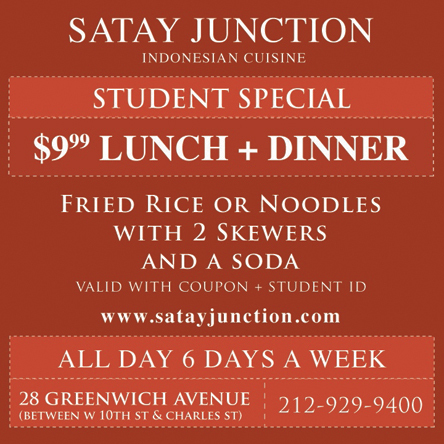 “Satay Junction” is a great place for a meal, neat and tiny, almost like a cozy home for flavorful Indonesian food. The design of the place is unpretentious. The tables are mostly for two people, and there are beautiful pictures on the walls that bring about ethnic spirit of Indonesian art. Aside from that, there are no more decorations, which leaves the impression that the restaurant is simple and tasteful. 1. For each significant person, find the most convenient time when you both are available. Even if you are extremely busy with homework, sometimes 10 minutes a week is enough to remind yourself and the person that you are still in touch and that he or she is important to you, no matter how far away you are. 2. Keep you family and friends informed about what is going on in your life. It often happens that if you don’t talk on a regular basis, when you asked “what’s new,” you have so many events on your mind that you have no idea where to start. Lost in the labyrinths of your thoughts, you usually mumble “nothing, all the same,” which disconnects you even more from the people you used to be so close to. From my own experience, after two of my high school girlfriends visited me in New York, it was easier to tell them about my life because they had a clear image of what New York is like. They also knew people I communicated with, school I went to and jobs I had. If your friends can’t visit, describe it to them or send pictures. They will learn something new, and you will have a chance to share your worries and joyful moments. At the same time, the virtual distance between you and those people will shrink. It also helps to discuss something that is equally available to you and them, for instance, watch the same movie and talk about it. It will bring you closer. 3. Find the cheapest way to connect with those you love. Sometimes calling or messaging your relatives and friends costs more than you can pay (especially if they are abroad). Therefore, for you, a student always concerned with student savings, it is often an issue to give a call to someone if it costs you just as much as a dinner. 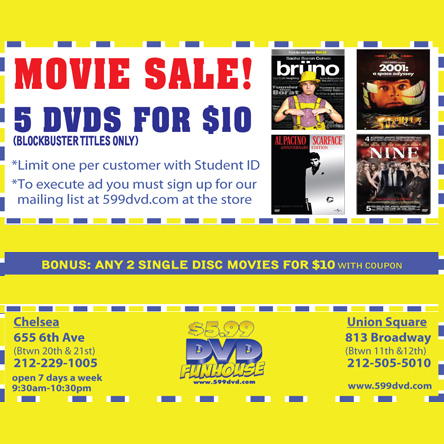 Research online about student discounts available or ask your peers about how they solve similar problems. One of good ways to call internationally, for example, is through skype. You can connect with your family for free – if they have a computer with skype downloaded on it. Don’t let the price of communication cost you losing the connection with people you love. 4. Determine where you feel comfortable to talk or message your family or friends. Don’t e-mail or text anybody while you’re in class. It will distract you from what the professor is saying, and it will also prevent you from being fully with the person you’re messaging to. Your texts will be dry and short, and you will most likely quickly forget what the conversation was about. Multitasking is not a great way to shorten the distances. Also, if you have roommates, your conversation may not be private if they are listening to it. Try to find a place where you can talk freely about what worries or excites you, as this is what actually makes you feel like you’re still with those people no matter how big the distance is. 5. And finally, remember: it’s totally up to you to make the distance bigger or smaller. But your family is always your family, and your best friends are people who know you more than anybody, and these connections are valuable. There will be a day when you come back home and see all these people again, and it’s up to you to still be friends with then or become strangers, not aware of how you all changed during the time you were away. In New York City, where a deli or grocery store can be found on every corner, how can owners of those businesses survive competition? First, the food has to be fresh and tasty. Secondly, the prices should not attack the pockets of an average New Yorker. And finally, the service has to be friendly and welcoming. If this sounds too much for one place, in your opinion, then you’ve probably never been to “Cafe Mercato” located at 648 Broadway. What distinguishes the place right off the bat is the variety of cuisines offered to customers. You can choose from Japanese and Korean dishes to pasta and pizza specialties. There is also some Mexican food, favorite American burgers and Middle-Eastern gyros. In short, this store reflects the diversity of New York, with its mixture of cultures and cuisines. One of the best sellers at “Cafe Mercato” is, of course, a burger. Not only this is the all-time American favorite food, but it is also made at the place from fresh ground meat, as opposed to pre-made frozen patty. The customers also love the variety of burgers offered on the menu with unusual items like a Lamb burger, or a melted mozzarella cheeseburger with Irish bacon, mayo and sauteed onions. With all these flavors and freshness, an awesome surprise is the price of the burgers: you can get one for just $6.95-8.45 with lettuce, tomato, pickle and french fries or onion rings. Also, if you get one of the daily specials, you can get a burger and a can of soda for $7.45. No need to say more: the cost is quite competitive. 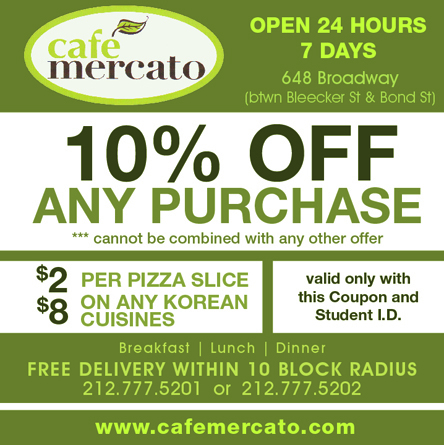 Open since mid-December of 2010, “Cafe Mercato” is owned by a businessman of Korean descent, who has had a similar store for about 20 years. Understanding that experience is the key to success, he hired chefs who have been doing the work of the kind for 15-20 years, at least. Savvy about the food they make, the cooks not only make hamburgers from fresh ground meat; in fact, they also prepare their own breaded chicken and fish cutlets they use for sandwiches, made from fresh meat that is delivered every morning. If sandwiches and burgers make you worry about gaining weight, you may opt for the salad bar at “Cafe Mercato.” There are hot meat and pasta dishes, fruit and vegetable salads (make your own), and even shrimps on the bar. Fruit and vegetables are cut twice a day, and they’re always fresh and appetizing. Try to get there before the lunch rush (12pm-3pm ); otherwise, there won’t be much food left. For a healthy drink, try a fresh squeezed juice, orange, carrot or mixed. Since the food is freshly made, customers can order whatever they want, even if it’s not on the menu, so feel free to request whatever you want. The managers at “Cafe Mercato” believe that their customers’ opinions are important, and they welcome any suggestions for improvement, so that they can grow and improve the service as the business develops. There are no comment cards yet, and all suggestions should be spoken out, but hopefully soon, the patrons will be able to write a note to the management and make the place even more suitable for them. And finally, what is surprising for a store like that, “Cafe Mercato” has a variety of bottled and draft beers, so if you’re 21 or older, you can go to the place not only for their yummy food, but also for a drink. The bar is small, but since it’s not the central point of the business, it’s not paid too much attention to. 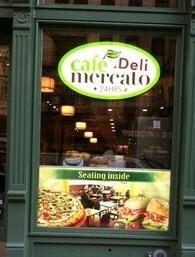 With breakfast served 6am-11am and the store open 24-7, “Cafe Mercato” is a truly a place that serves all. Therefore, whether you’re going there for a Reuben, a Udon, a Sushi roll or a Panini, you will surely find something that will satisfy your taste buds and something that will entice you to come back and try what you’ve never had before. What we all need is a little bit of love, even when we merely go to a restaurant to fill up our stomachs. If this is how you feel, you should definitely try “Tamba,” an Indian restaurant run by chef Daljeet Malik and her husband, Sikander Malik, whose passion for what they are doing is expressed equally in food, decor of their bar and grill and the way they treat customers. You could easily spend hours there savoring simple but flavorful food with variety of sauces and spices. It’s just so comfortable there that you’ll never want to leave, and you’ll never be rushed, either. 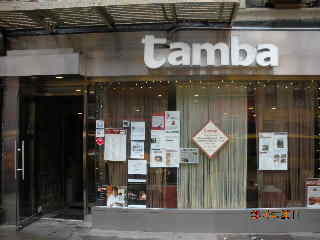 The first thing that attracts guests coming to “Tamba” is the restaurant’s appearance. Decorated in copper (as this is what “tamba” means, and as it is believed, this metal has healing powers), the place has a modern look and is consistent even in details. For instance, in addition to copper lamps on the ceiling, there are copper mini-vases hanging above the bar, copper plates on the walls and even silverware has copper handles. The preciseness of the decor shows us right away how much thought was put into making the space look like it does. 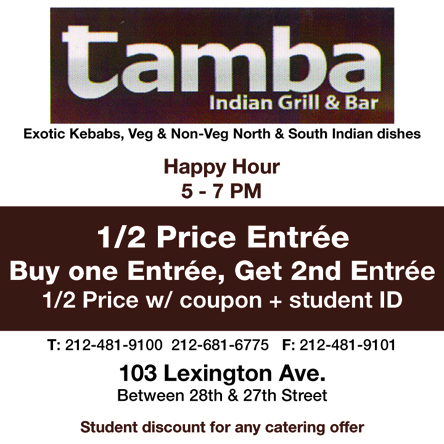 Open since January 2010, “Tamba” is the successor of “Malika,” a restaurant the Maliks used to have on 43 street between 2 ave and 3 ave, which they gave up when the rent went too high. However, instead of being the new “Malika,” “Tamba,” located on Lexington ave between 27 and 28 streets, has its own ideas and several totally new items on the menu. As far as the menu is concerned, it represents the mixture of Northern and Southern Indian cuisines. Precise with her recipes, chef Malik keeps her dishes as healthy as possible, with little oil and salt (or no salt at all upon request), and you can have your food mild, medium or spicy depending on your taste. And if you are a vegetarian or vegan, there will also be no problem to find an appetizing dish that you will enjoy. Just before you start, there is a warning for you: the description of food on the menu is extremely modest. Therefore, don’t hesitate to ask your server for recommendations. With the variety of flavors that are hard to be put into words, there are items that will strike you once you bite into them and leave you indifferent if you just read the information about them. Begin your meal with the most popular appetizer, Chicken 65, “crisped and sauteed with curry leaves and spicy sauce,” as it says in writing. In reality, the flavors of the dish come at you in different layers. It’s sweet at first, and only then spicy, with the tanginess coming from mustard seed and other spices. If you are a seafood lover, you can also taste Shrimp 65, another great variation of the dish. For a vegetarian appetizer, you should definitely go for Lasani Gobhi, “cauliflower sauteed with garlic and tangy tomato sauce.” In a nutshell, the dish reminds us of spicy buffalo chicken wings, but with cauliflower instead of meat. Crispy and yummy, this starter will tease your taste buds and prepare your stomach for the main dish. To continue the meal in vegetarian spirit, have a Dal Tadka, yellow lentils cooked until they are perfectly creamy and soft. It may be a good idea to have the lentils over plain white rice, as they are moist and milky, even though there is no trace of dairy there, and they will take away the dryness of the rice, which is, in its turn, a good base for the fluffiness of Dal Tadka. Another good dish is Aloo Gobi, potato and cauliflower with onions and tomatoes. What sounds simple is again pretty flavorful and spicy, and it gives a great contrast to non-pungent lentils. With frequent water refills an attentive waiter will spoil you with, be sure that there won’t be much left on your plate once you taste it. If you are a passionate carnivore, however, you shouldn’t miss Murg Methi, boneless chicken cooked with fenugreek leaves. Dressed in appetizing sauce, the meat is moist and tender, and all you can say about the dish is, “It’s incredible.” This dish is so tangy that you should probably have it with a side order of vegetables in order not to rob it of its intense flavors. Amazing as it is, this shows that the Maliks treat their customers not only as friends, but more like their family members. Even cooking for her clientele chef Malik perceives as feeding a large family choosing fresh ingredients and healthier, less fattening choices. Therefore, when they say “come again” at “Tamba,” be sure that they really mean it in the glory of love for their business compared to a feeling of affection for a child. And as a saying by an unknown author states, “It takes hands to build a house, but only hearts can build a home.” Accordingly, when you eat at “Tamba,” you feel that it’s not only the food you will come back here for, but for the heart, for the warm and welcoming atmosphere of your new home away from home. Spoiling us with sun rays and warm afternoons, the weather has been awesome for the past three days. However, along with the temperatures rising, the amount of people sneezing on the subway increased as well. Not concerned about joining the crowd, yesterday I put on my light spring-only leather jacket for the first time this year, and here’s the result: today I have a fever and a sore throat that hurts when I swallow and even when I don’t. The moral is: don’t get over-excited. It’s just GETTING warm, it’s not actually warm YET. 1. When you check weather forecasts, pay attention to the lowest temperature, not only the highest. This time of the year is deceiving, as when you go to school, it is usually cold and windy (if you are a morning student), and when you come back home, it is often warm and sunny, so it’s hard to decide what to wear. What I suggest you do is to be ready for the worst just in case it happens. It’s always better to carry an extra sweater than freeze thinking about the one you left at home. 2. If you are taking a subway, keep in mind that it’s always cold inside, so again, keep something in your bag for the occasion. 3. 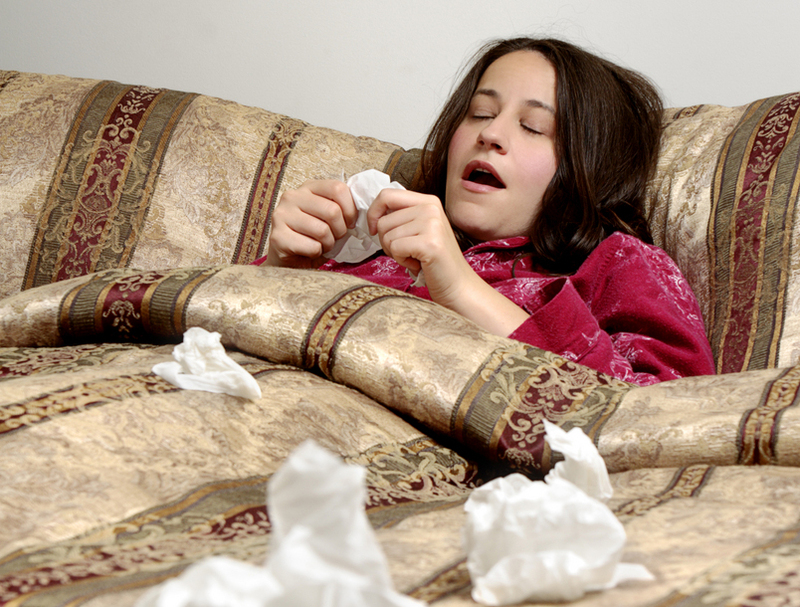 Avoid close contact with people who are already sick. If someone constantly sneezing next to you, there is a good chance that their infection is contagious, so it is for your best to move far away from them if possible. On the contrary, if you are sick, prevent spreading your bacteria or viruses to others. Limit your kissing and always cover your mouth when you sneeze. 4. Increase your vitamin intake. Vitamins strengthen your immune system and help fight infections. The best sources of nutrients you need are fresh fruit and vegetables. Even though you are always concerned with the best deals and student savings and fruit and vegetables are usually extremely expensive, try to get as much as you can. There are plenty of Chinese markets where you can get cheap watermelons, oranges and even berries if you come in the right time. I usually compare prices and always get great deals, as I know I’d never pay $6.99 for a small box of raspberries. 5. Shower with cool or cold water. It will help strengthen your immune system. I started doing that during the summer because it’s hot and, to my mind, it is the easiest time to begin. I intended to continue doing so during the winter, but my apartment is usually very cold, and hot shower saves me from freezing. This is quite an extreme thing to do , so I recommend that you try it once and see how you feel. If it’s not your thing, don’t force it on yourself, but if it makes you feel more energized and awake in the mornings, like I used to feel before the winter came, then go ahead and do it every day. By the way, don’t start with cold-cold water right away. It is a gradual process, so start slowly, with warm to cool water until you are comfortable enough to take cold showers. All in all, hopefully, these simple tips will help you to stay healthy and meet the spring with a non-running nose, cool forehead and warm heart because remember: there maybe student discounts on certain medications, but there are never good deals on doctor visits unless you have a good insurance plan, not mentioning that between your classes, homework assignments, tests and social life, there is not much time left for being sick. Contrary to all weather forecasts that promised heavy rain today, the weather out there in New York is wonderful. It is supposed to go as high as 60 degrees, and those who brought along their umbrellas will have to carry them, useless, for the duration of the day, disappointed that the umbrella is good-for-nothing and happy because the weather is amazing. Unlike weather forecasts, you should always be reliable and truthful. Even though you are still a student, you have to build up your resume and make first steps towards your career. To do well, you need to establish important connections that will get your foot in the door, and as you know, the more credible and responsible you are, the more likely people are to trust you, help you and even hire you. If you object to this thinking that credibility is something that only established authors, journalists, businessmen etc. need, then you are mistaken. First of all, wouldn’t you like to be on of those people you are now looking up to? Secondly, these folks didn’t just become credible. Contrary to this, they went a long way to achieve their success. Working on making yourself reliable, a skill that you have to learn while you are still in college, is exactly what they had already gone through. And third, remember: when you present your resume to a potential employer, they always appreciate that you have work or internship experience in the industry. Accordingly, if you have references that portray you as a responsible person who can do any job quickly and painlessly, you will definitely be a better candidate for the position offered once the time comes. 1. Make deadlines. If you don’t complete your work on time, it shows that you have poor time management skills, which presents you as an unreliable worker. Imagine that you sell calendars for the past year. The days of the week are not the same, and your product is of no use to people, so no one will buy it. As simple as that, if you are restricted by a deadline, your work is only good if it’s done on schedule. Even if your job doesn’t depend on deadlines, it will always be appreciated if you complete your tasks in the order they come. Therefore, start with your school work. If the paper is due on Monday, hand it in on Monday or even earlier. Train yourself to respect deadlines, and be sure that you’ll be respected for that. 2. Keep your word. If you promised to do something, do it. If you failed your employer or friend once, he or she will neither believe you nor rely on you. One day I was walking down the street with a couple of friends, and we were drawn into a restaurant, where they promised a performance by comedians. While waiting, we ordered food and drinks from the menu. The performance was all right, but when we got the bill, we discovered that the price we were supposed to pay is twice as high as it was stated on the menu (a strong blow against my student savings). We complained, and they fixed the price for us, explaining that “it’s different upstairs and downstairs,” which we weren’t told when we ordered. 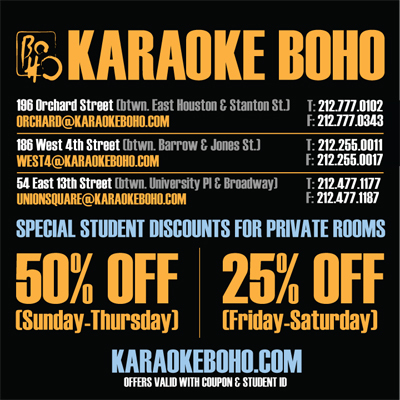 No need to say that even though I paid the menu price, I am not coming back to that place ever again, even if they offer the best ever student discounts. Hence, make it a habit to avoid empty promises. Don’t be afraid to say “no” if you feel like you won’t be able to do what you’re asked. It’s better if you let people know up front that you are not available for that than make them wait and lose their time hoping you’d do it. If they informed us that the price is actually higher for those who watch performance, we would have had a choice to pay it or leave, and we wouldn’t be so upset. 3. Allow extra time for things to happen. We all are human, and we can get sick, upset or incapable of doing our work due to stress. There are also natural disasters (God forbid), bad weather conditions and other events that are beyond our control. Therefore, don’t postpone your chores until the last moment. Finish your projects earlier, and there will be no additional worries if something unexpected will suddenly appear on your way.